Juicing is a simple and straight-forward way of consuming a variety of fruits and vegetables in an efficient, enjoyable way. As easy as it is to do, a few tips and tricks never hurt anyone. Compiled below is a list of frequently asked questions as well as some tips, tricks, and guides to help you get the most out of your juicing experience. You've heard the rave reviews about juicing and you want to know what all the hullabaloo is about. Is it fact or fiction? Well, there's a little bit of both. We love juicing. But we know that it is not a panacea and if you want to get all the awesome health benefits of juicing, there are a few things you should know. If you're looking to juice for health, the benefits you get from juicing will depend on how you wield that sword. ​Obviously, we want you to get the absolute best stuff out of your juicing journey - find out how to use juicing for health, not harm. For those of you wondering why juice your fresh fruits and vegetables - I mean, why don't we just eat them? Great question - why don't we just eat them? But for the rest of us, juicing provides us with a stupid simple way to give our bodies a plenitude of raw, live nutrients we need. Plus, when it comes to veggies...juicing them just makes sense. The first step to healthy juicing starts with making sure your raw ingredients - your fruits, vegetables and herbs - are fresh, clean, and pesticide-free. Juicing really opens you up to a variety of fruits and vegetables since it removes the whole how-do-I-prepare-it?! dilemma. I mean, you can even juice wheatgrass - not something any of us know how to whip up into a meal (if you do know, call me). So which fruits and veggies can you juice? Well, the short answer is: "Pretty much alllll of them! The more, the merrier!" The more nuanced, more accurate answer is: "You can juice most produce, but some fruits and vegetables are simply unjuiceable." It's a short list but sadly, some things were just not meant to be juiced. Even among the fruits and vegetables that can be juiced, it's helpful to know which parts of a fruit or vegetable are totally juice-able. Last but not least, you'll also want to know which fruits and veggies have edible, juiceable peels and which don't! WHAT FRUITS & VEGGIES ARE THE BEST TO JUICE? It's hard to say which fruits and vegetables are the absolute BEST - they all have their individual benefits. 1. ORGANIC > NON-ORGANIC. Organic fruits and vegetables are better. Duh, you say - but they're expensive. We know, and you don't have to buy all organic BUT here is a list of the most pesticide-infested fruits and vegetables - try to at least get these organic. 2. VEGETABLES > FRUITS. Fruits juices are yummy, but vegetable juices are healthier than fruit juices. We recommend juicing mostly veggies and adding a little fruit for taste. That being said, there are some foods that are a MUST in juicing, simply because they're so much better raw. 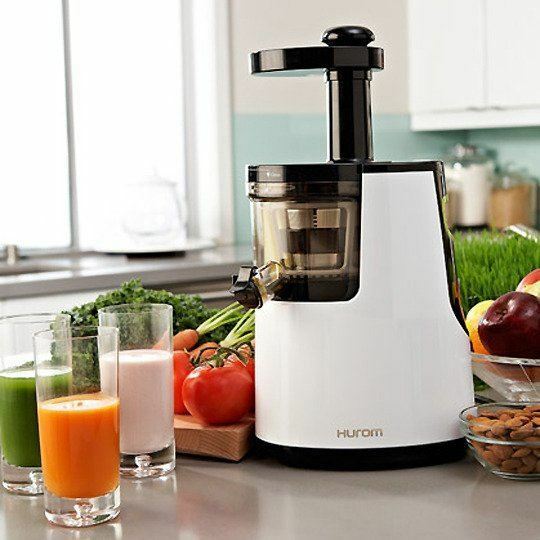 The best juicer to buy is simply the best juicer for your needs. Do you really need a super fancy juicer that makes soy yogurt frappuccino latte ice cream or mugwort mochi balls? 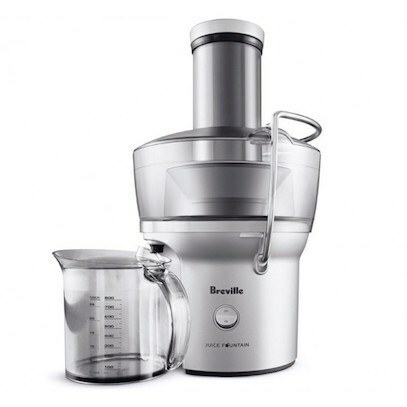 Or do you want a simple, no-frills juicer that is excellent at juicing? 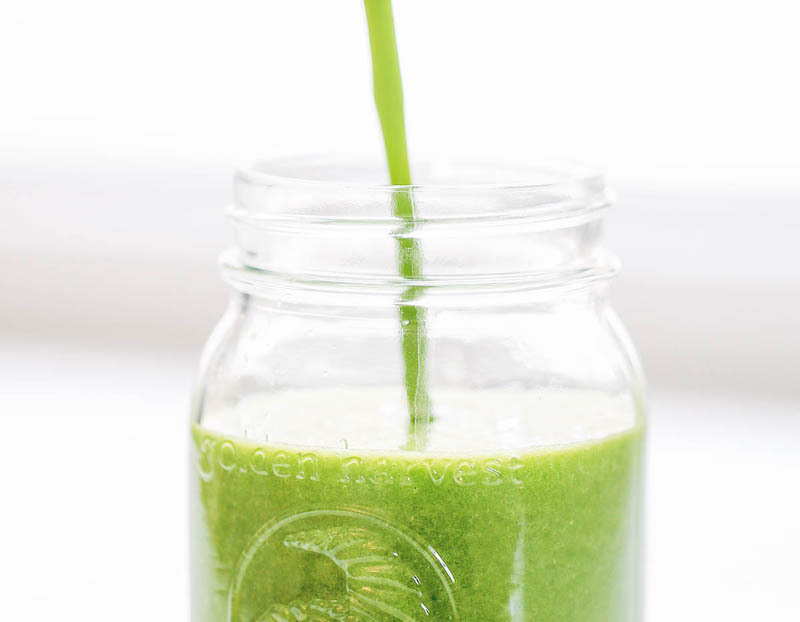 Are you planning on making tons of green juices? 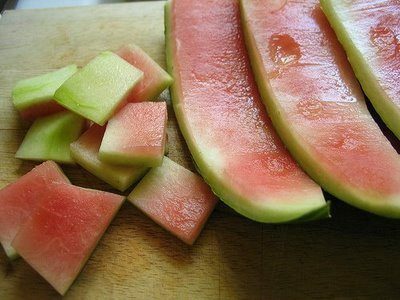 Or are you more into soft fruits? Although there are juicers that are widely considered to be top-of-the-line, EVERY juicer has its perks and limitations so know what's most important for you before you make the big decision. Great for greens, produces high-quality juice and is multi-functional (makes pasta, baby food, nut milks). 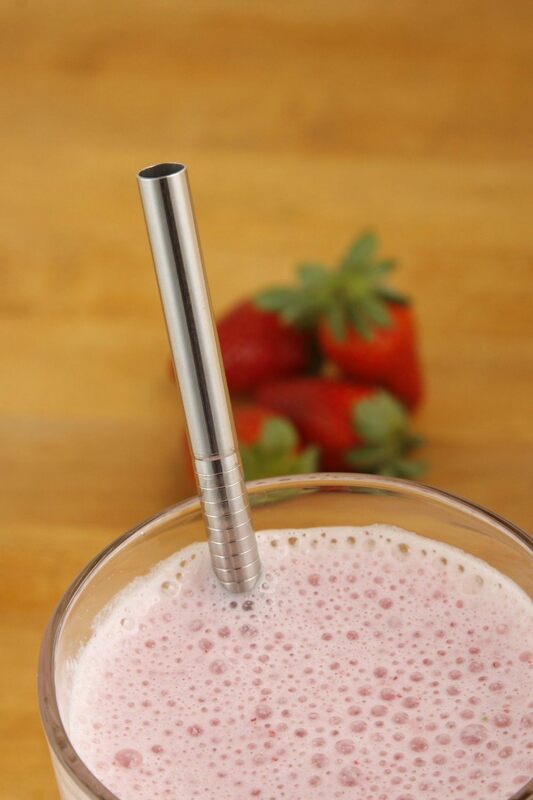 Both a slow juicer & a smoothie maker so perfect for soft fruits, also the easiest to clean. Very affordable & super fast juicing (no need to chop produce) but not good for greens and lower juice quality. 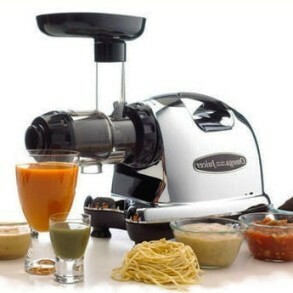 As you can see, it's all about choosing the juicer that best suits your juicing needs. 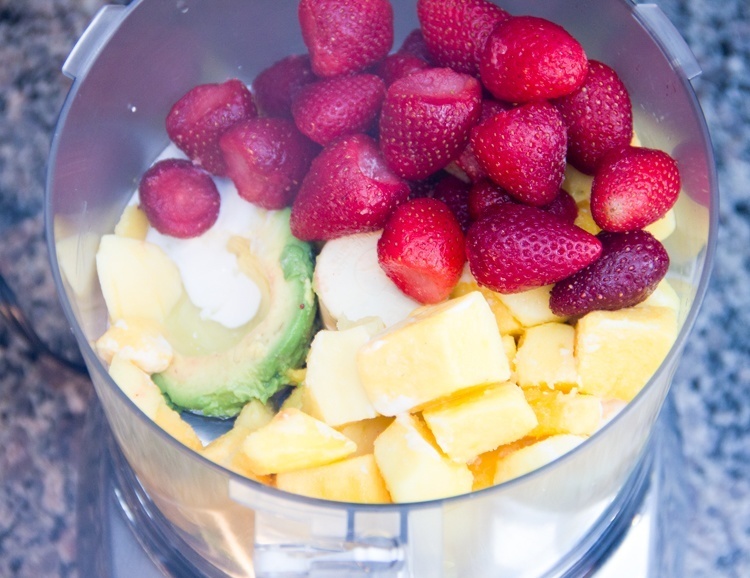 Find out the 5 questions that will help you choose the best juicer! And before you rush off to buy a juicer, take a moment and read through the different types of juicers and how they measure up. It'll give you a better idea of how juicers work and the pros and cons of each one so you can make the best decision. Oh, and if you're on the fence about juicing, you'll be happy to know that you can try it out without investing in a juicer. Yet. You will eventually want a proper juicer to be able to juice the widest range of fruits and veggies, but in the meantime, you can test out juice recipes and find out what all the hullabaloo is about for yourself! You can also try incorporating fruits and vegetables that you don't need a juicer for - like aloe vera, for example. You can whip up some fresh aloe vera gel with just a blender or food processor. Another awesome way to incorporate the benefits of herbs without a juicer is to make tea. Ginger tea is crazy delicious and even stinging nettles, which aren't very skin-friendly, are wonderfully nutritious when boiled as a tea. And once you're ready to take the next step, you can start off small - check out the best juicers under $200. HOW LONG DOES FRESH JUICE STAY FRESH? i.e. CAN YOU STORE FRESH JUICE? Short on time? Yea, us too. In a perfect world, we'd all have the leisure to juice whenever we wanted and drink that fresher-than-fresh juice on the spot. But life often gets in the way, especially between Monday through Friday. Fresh juice is best-est when consumed fresh - and that means within 20 minutes of juicing. Busy schedules, however, often demand juice storage. Which means you - like many of us - will likely want to juice 'in bulk' and then store your juice. 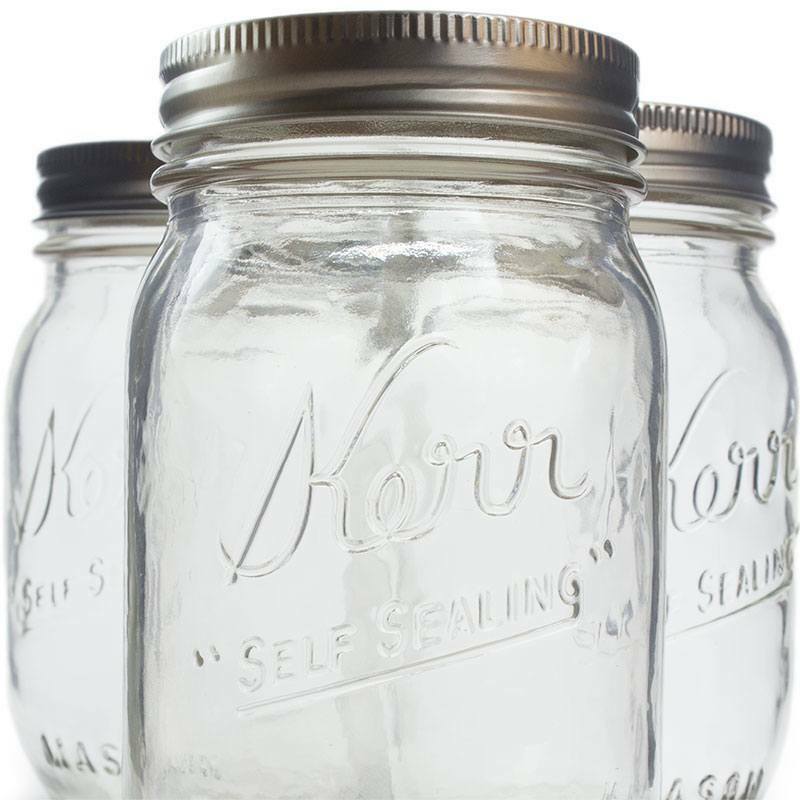 Read more about how to properly store fresh juice! 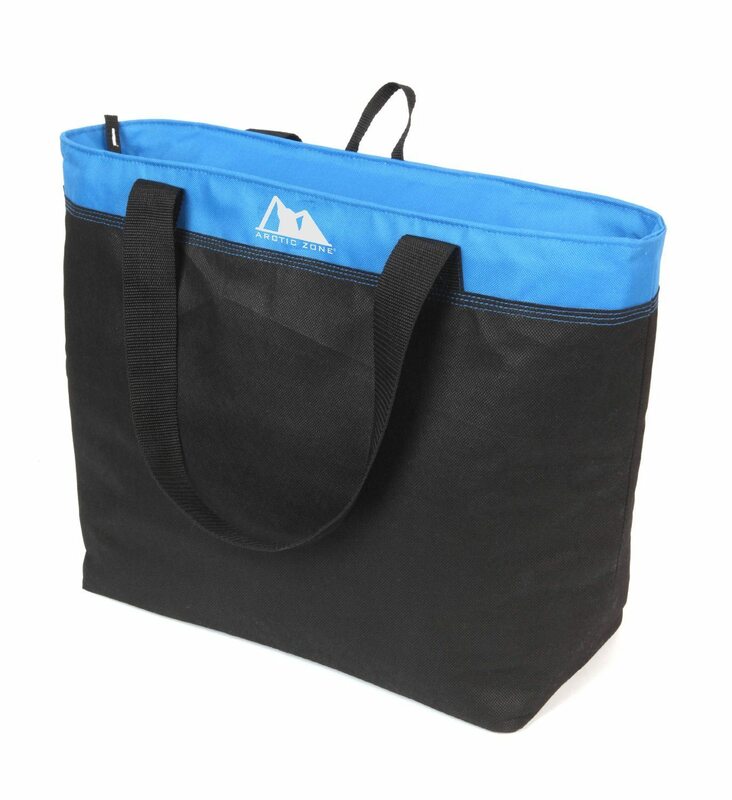 Sturdy and with tight lids that seal tight enough to prevent oxidation. Light-weight and large enough to store a day's supply of fresh juice. On a related note, if you're wondering when's the best time to drink your juice - the short answer is: any time. But that's not entirely true, you'll find a much more nuanced answer to the best time to drink fresh juice here. 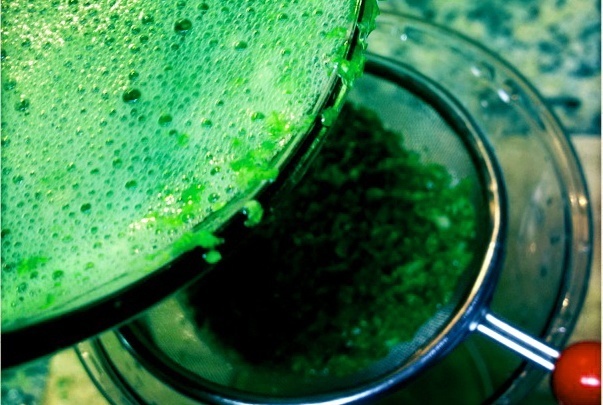 WHAT'S THE DIFFERENCE BETWEEN JUICING & BLENDING? You know how we talked about how some fruits and veggies are simply un-juiceable? Well, that's why it makes sense to have a blender, too (or a juicer that's also a blender). In general, juicing is awesome for veggies - especially if you have digestive issues that make the insoluble fiber in vegetables hard to digest. Taking advantage of both simply gives you the best of both worlds! Learn more about the difference between juicing and blending here and how they complement each other! DOES JUICING HAVE SIDE EFFECTS? There are some awesome side effects, like increased energy, reduced appetite, glowing skin and lost pounds but juicing can also bring about some unwanted side effects. Find out some weird side effects of juicing as well as how you can avoid them. In short, much of juicing's unwanted side effects - like turning orange, for example - can be avoided by simply rotating your fruits and veggies. This is especially important if you're worried about oxalates or simply getting too much of a good thing. Find out why rotating your fruits and veggies ﻿is﻿ super important! And for those who'd like a convenient way of rotation - here's a handy Rotation Color Guide of Fruits and Veggies as well as a Cheat Sheet to Rotating Your Leafy Greens (and Other Veggies). While blogs - like this one! - are an invaluable source of juicing information, there's nothing quite like having a beautiful book of juicing info and juicing recipes for your perusal whenever you want to whip up a quick recipe. For this reason, I'd say that an informative, well-written juicing book is a must-have juicing essential. And as every juicer knows, kitchen prep tends to take up a bit more time than most of us would like. To that end, there are several kitchen tools that are awesome to have around when you're juicing regularly! 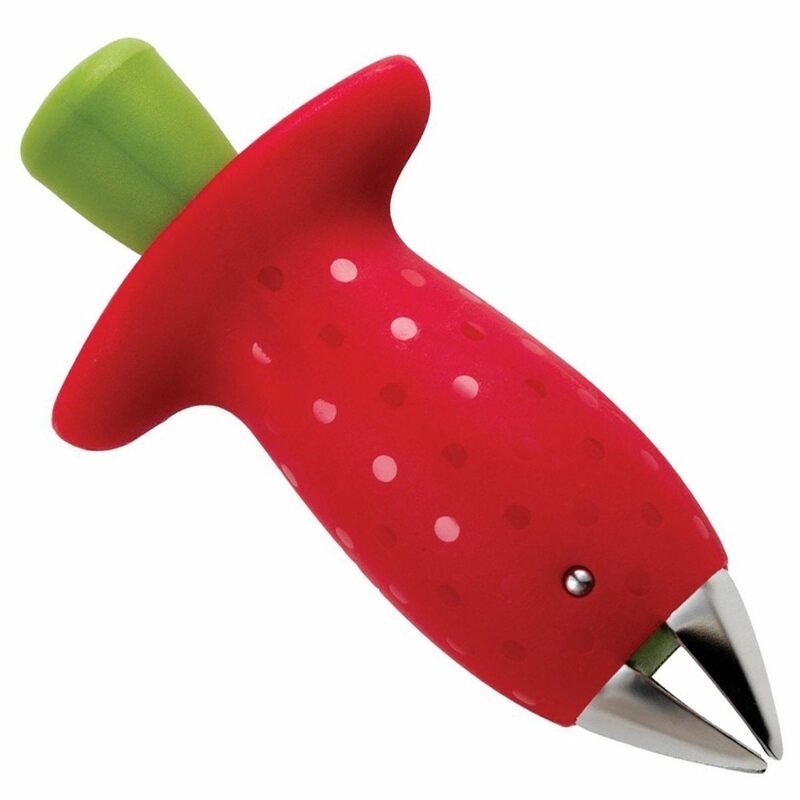 This strawberry stem remover is just the cutest way to cut down your strawberry stem removing time. 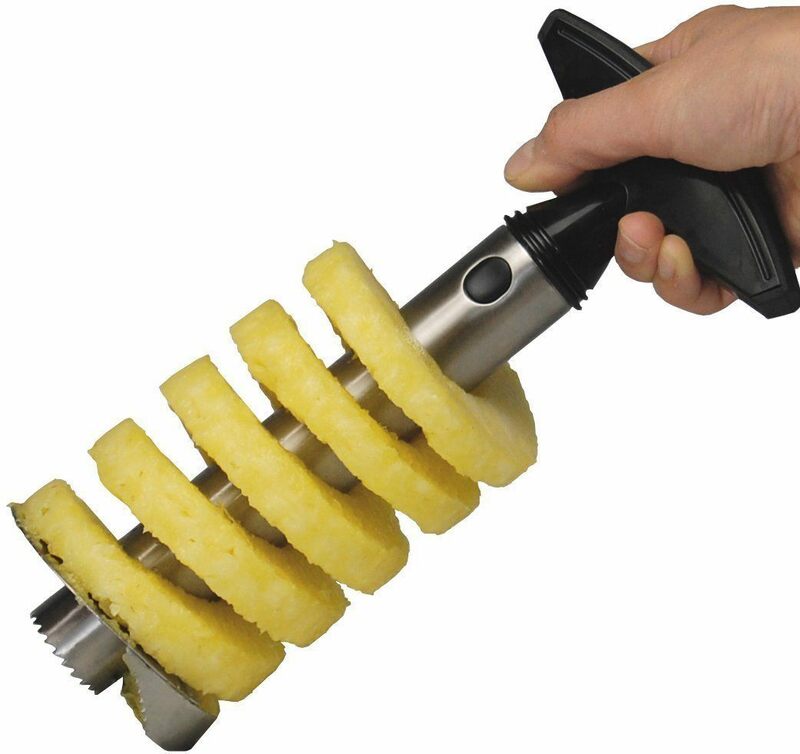 This handy little pineapple cutter lets you peel, core, and slice your pineapples in one, quick go. This one's my favorite - 'cause nothin's more bada** than sipping green juice out of a stainless steel straw. Have more specific questions about juicing? Check out my specific (free!) juicing guides for more detailed information to juicing, well, pretty much anything. 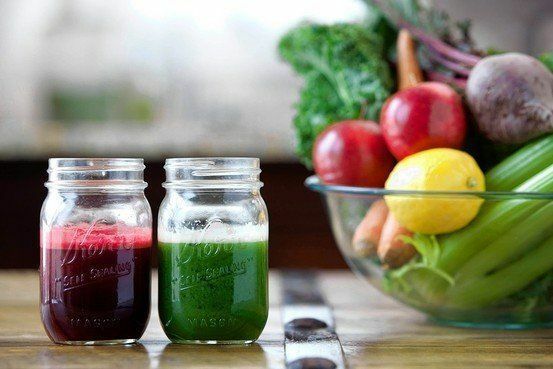 A Guide to Juicing Vegetables: Everything you need to know about juicing veggies! The Green Juicing Guide: Green juicing is probably our favorite-est thing to do - here you'll find everything from green juicing tips for beginners to a list of greens for more advanced green juicers to peruse.